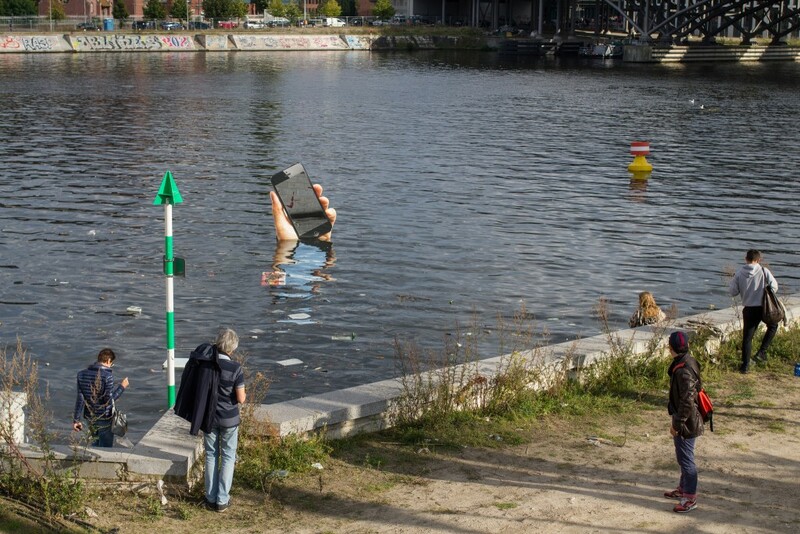 Obsolete Presence leaves both exhibition space and dry land behind. 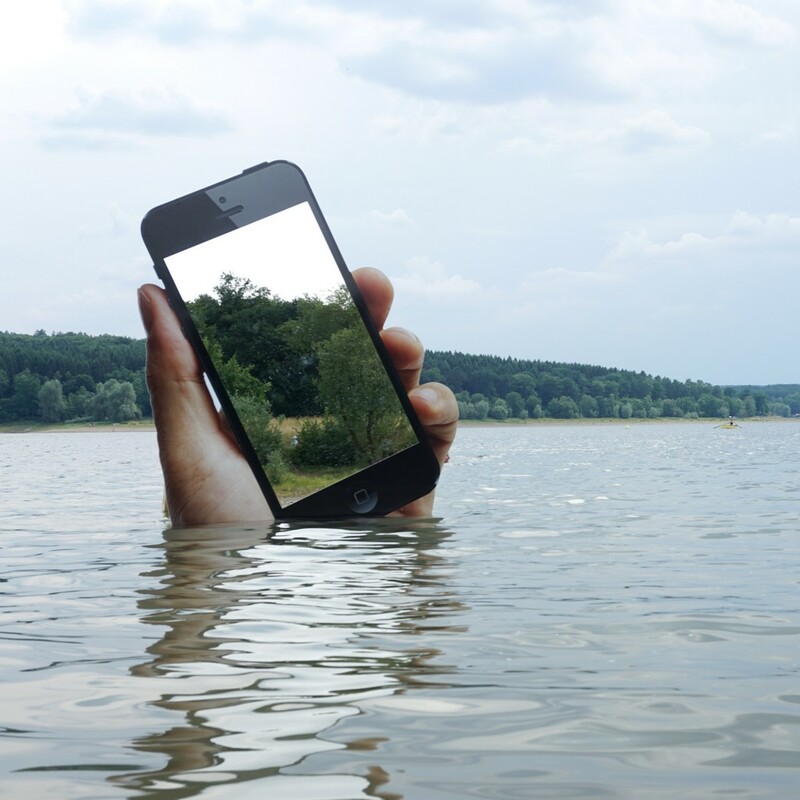 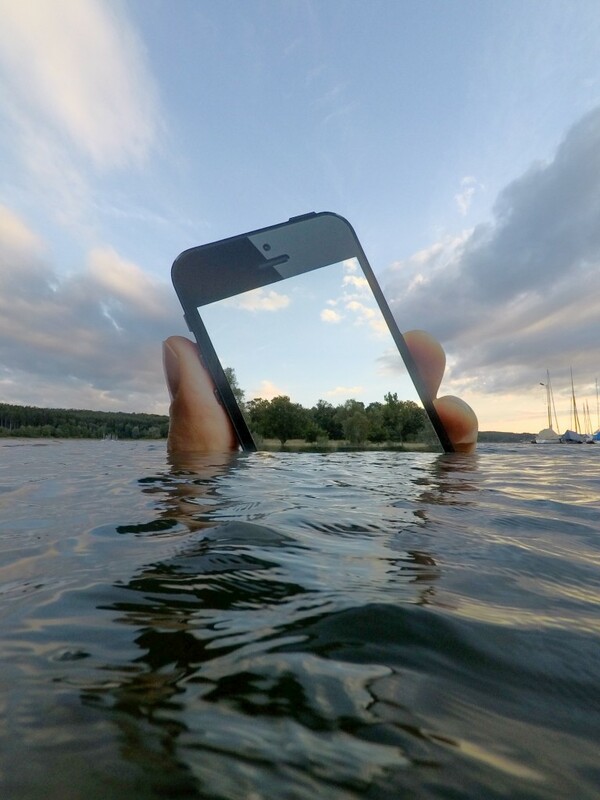 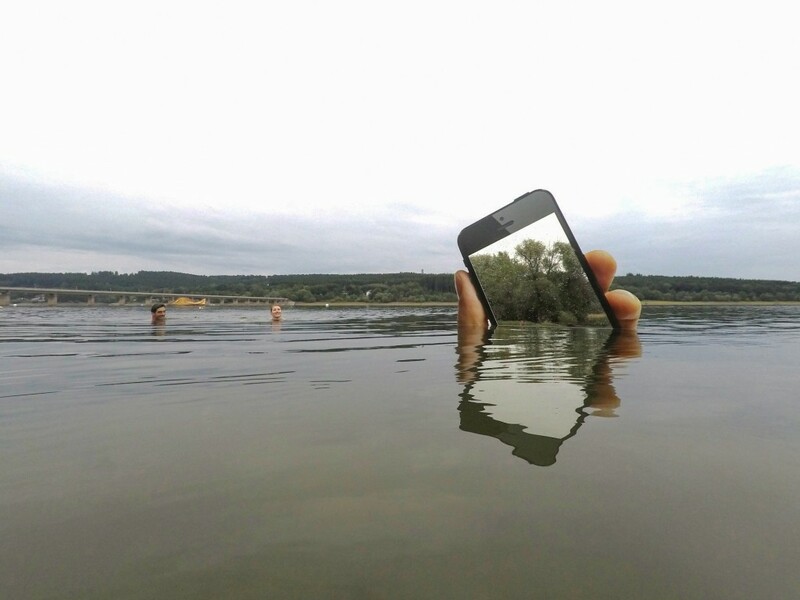 A hand reaching up out of the water holds a smart phone in picture-taking position. 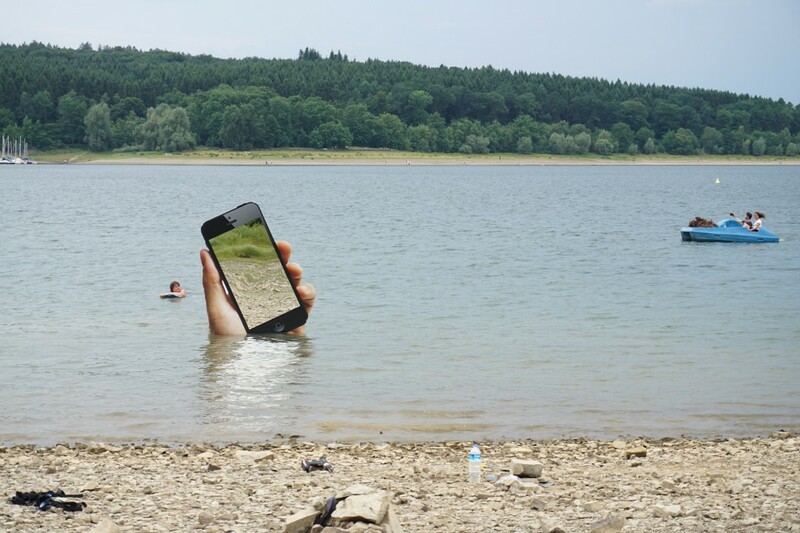 The ‘screen’ of the two-dimensional print is a mirror that reflects the image of visitors holding their own camera phone. 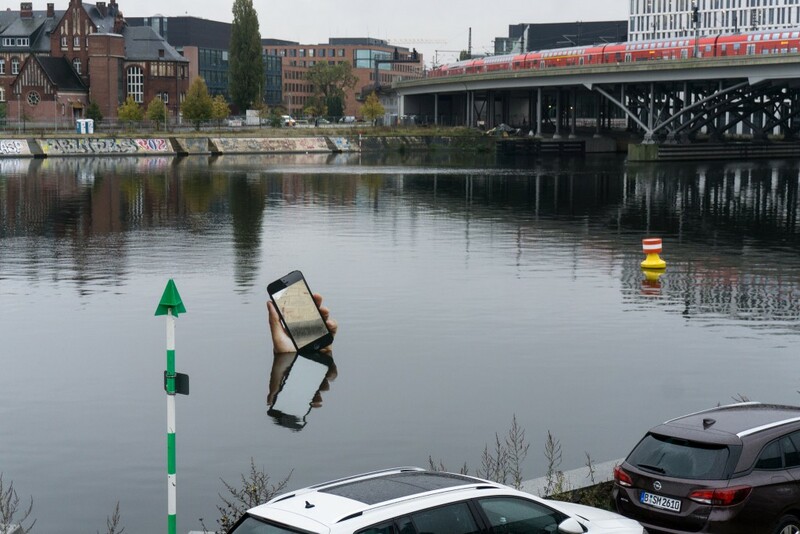 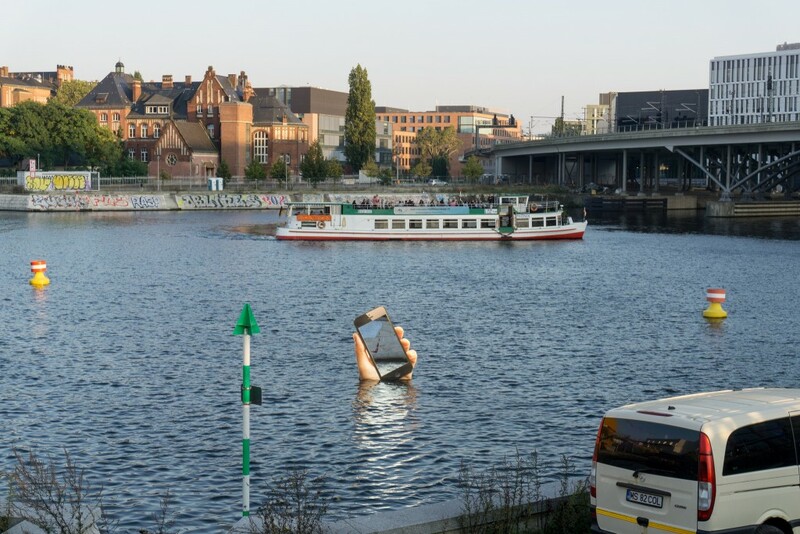 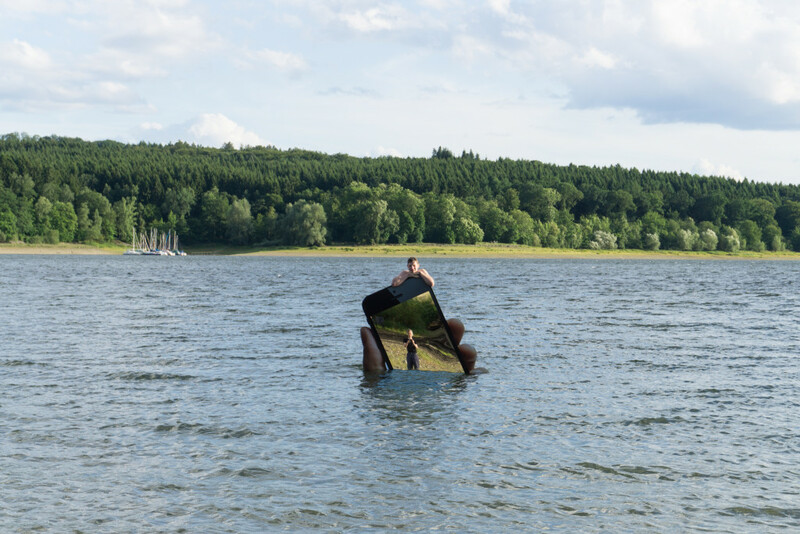 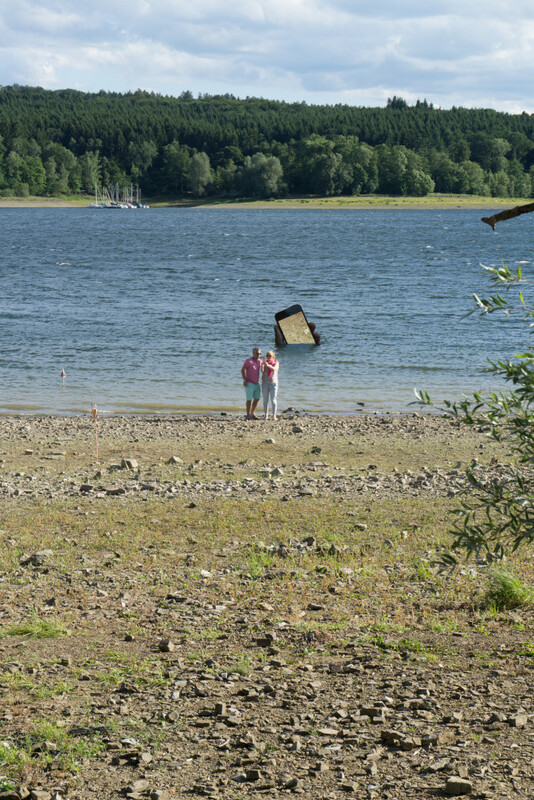 During the 2017 ‚Odyssee‘ exhibition at Möhnesee in North Rhine-Westphalia, the sculpture ultimately disappeared under a gradually-rising water level. 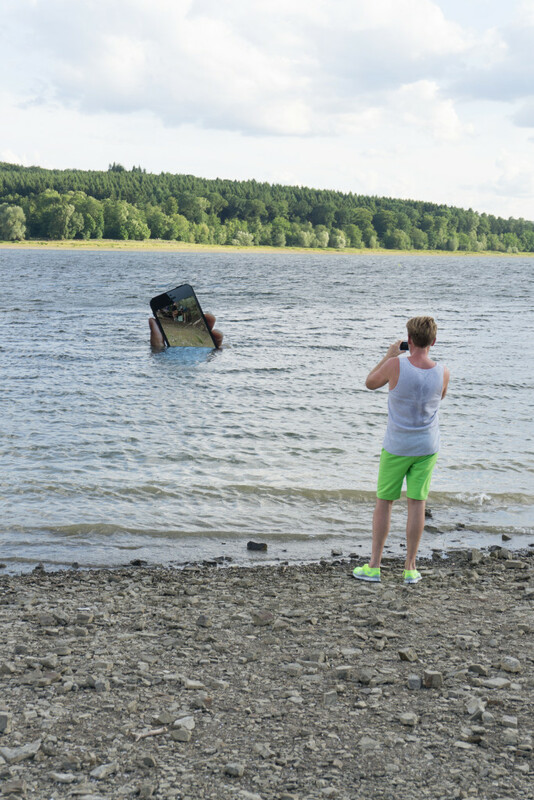 The work was premiered at the exhibtion Odyssey, Kunstverein Arnsberg in June 2017. 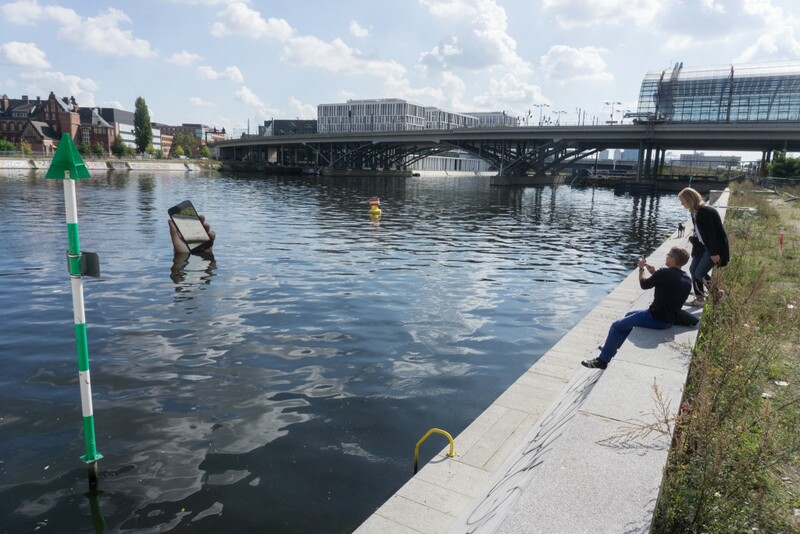 It was shown also during the Festival of Future Nows at Hamburger Bahnhof in September 2017. 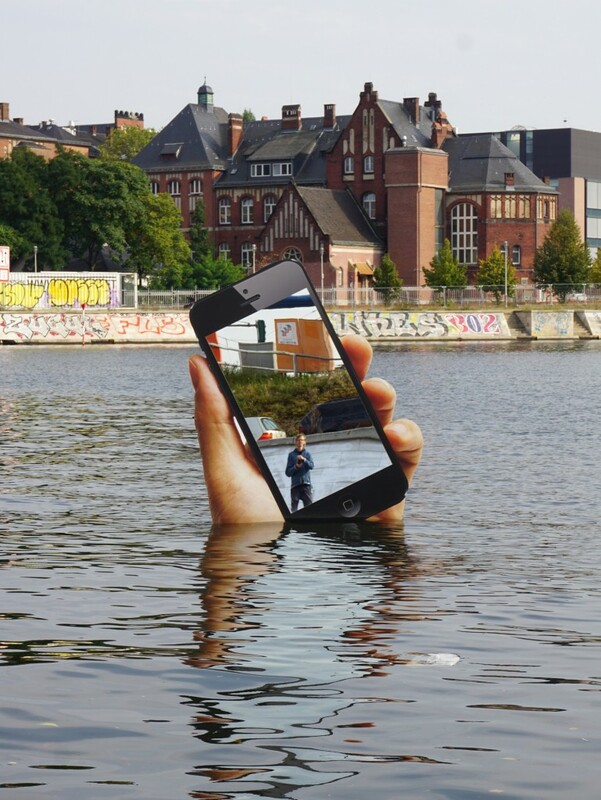 Credits: Wasser- und Kulturbau GmbH Hönow, Thx!